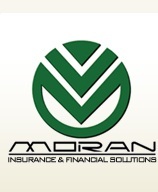 All Agencies - THE LOWEST COST Health Insurance... Guaranteed! If you ever tried picking an insurance policy for your family, you might understand the phrase "finding a needle in a haystack". Weeding through the phone book for health insurance can really be confusing; which ad to call?, who has the best policy?... We have the answers! 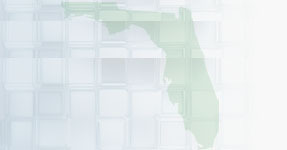 Florida Health Insurance Web offers a huge health insurance product line with free consulting services. Our health insurance consulting includes: complete analysis of competing insurance products, individual analysis of your current health situation, and multiple insurance carriers and products to choose from. Get a Free Health Insurance Quote from Florida's most reliable health insurance provider. It's easy to be insured! HEALTH POLICIES - MORE CHOICES! A consumer group says insurance companies are reaping huge profits at the expense of its policyholders. The Consumer Federation of America claims insurance companies are charging too much and paying out too little and that the big insurance companies are turning a better profit than the stock market. "The insurance industry carefully cultivates a perception that they're an ultra high-risk business requiring excessive returns and huge premiums to fight off the onslaught of catastrophes," says J. Robert Hunter of the Consumer Federation of America. The watchdog group says when when a series of massive hurricanes battered the U.S.back in 2005, many residents lost almost everything but that the insurance industry reaped forty-eight billion dollars in profit at the expense of consumers. The Consumer Federation of American report says despite hurricane activity, the industry enjoyed record profits in 2004 and 2005 and that profits rose to unprecedented heights in 2006 (over $30 billion dollars). The report also says many homeowners are paying too much for property and casualty insurance and the insurance companies often under pay on claims. "Part of it is gouging of course because we're seeing loss ratios in place of thirty percent in homeowners and things like that," says says J. Robert Hunter of the Consumer Federation of America. "It's obviously grossly excessive." Larry Coffin of Savannah had never heard of the report of the Consumer Federation of America. But he did talk to me about his insurance coverage and rates, saying he's very satisfied with his service. " I've been with them for about 25 years and I have nothing bad to say about them, Coffin says. " I think they're terrific, they've been fair in any kind of claim I've had." June Batiste was more inclined to believe the report. "Yes, we are we're paying too much for insurance," she told me. Batiste also says she believes most profits are put into the "pockets of the insurance companies, period." The Consumer Federation says insurance companies are hanging on to huge surpluses but the insurance industry tells a very different story. "There are years when insurers lose money and there are years when insurers make money," says Carolyn Gorman of the Insurance Information Institute. Gorman also says with forecasters predicting another decade of super storms for the East Coast and Gulf Region, they have to be ready for big losses. "Some of them could reach 100 billion dollars so it is very important for the insurance industry to have money to pay claims," Gorman says. Lemont Darville who recently moved to the Savannah area from south Florida has a question for the insurance industry. "What have they done with my money for the last 20 years, that's what I want to know?" Darville doesn't believe insurance companies are "holding" any money for future claims, but rather paying it out to shareholders yearly and worrying about what they'll do for claims the next year. The report suggests that whatever insurers are doing, they're doing less of it. The report says the money paid out in claims is lower than it's been in decades. It says for the top ten insurers, losses paid as benefits to consumers are an estimated 52 percent of premiums collected in 2006. The report also says Allstate appears to be paying much less than half of the premiums it collects. "We are managing our homeowners insurance business for the benefit of all policyholders and believe it is unfair for auto and life insurance customers to subsidize homeowners customers as is suggested by this report. As far as auto insurance is concerned we have the most innovative product in the marketplace today in your choice auto, are among one of the most sophisticated companies in pricing and are continuing to grow our auto insurance business. With some 1,200 property casualty insurance companies doing business in the US, and more than 17 million households choosing Allstate, they are recognizing the great product and price value they get from Allstate. What's best for the American insurance consumer is a free and competitive marketplace and not one that would be regulated in the way this report would suggest." But Darville isn't interested in hearing from the insurance companies, he's made up his mind. "I think the insurance company for years have been making a tremendous profit off the public and I'm amazed the government has allowed it to happen," he tells me. "It's outrageous." The Consumer Federation of America wants state and federal regulators to pay more attention and get tough when it comes to the issue of premiums versus payouts. The group is also calling on Congress to make it easier for states to join together in creating disaster funds that can protect their residents.